Powerful Essentials. 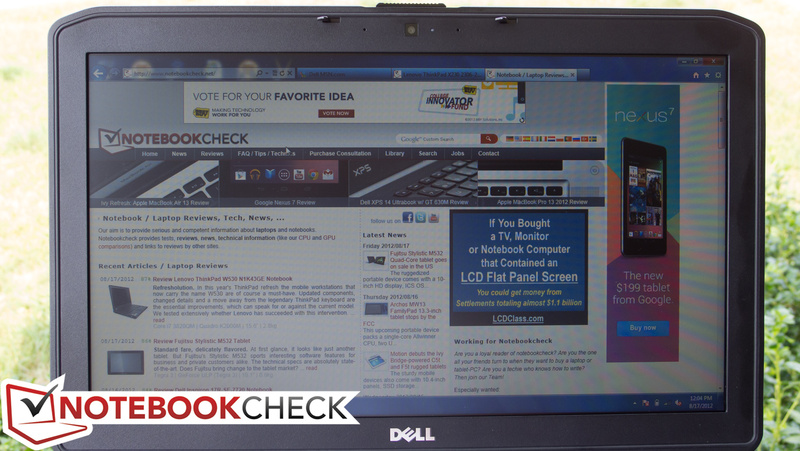 Dell's Latitude E5XXX series has long been an affordable alternative to the highest-end Latitude notebooks without sacrificing the essentials. Can the E5530, with its brand-new Ivy Bridge chipset and other minor tweaks, top its predecessors? Dell’s Latitude line of notebooks has become synonymous with business computing. Straddling the line between luxury and practicality, they’re known primarily for their reliability, sporting a durable, medium-duty construction that mingles harmoniously with ergonomics. Recent Latitude revisions have resulted in a critically-acclaimed “Tri-Metal” design which, in the upper echelon options (the E6XXX models), is also MIL-STD 810G tested, featuring heavier hinges and magnesium alloy wrapped corners. 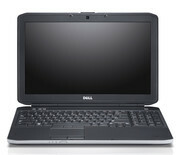 But for the more budget-conscious, Dell also offers lower-end E5XXX models with comparable specs. 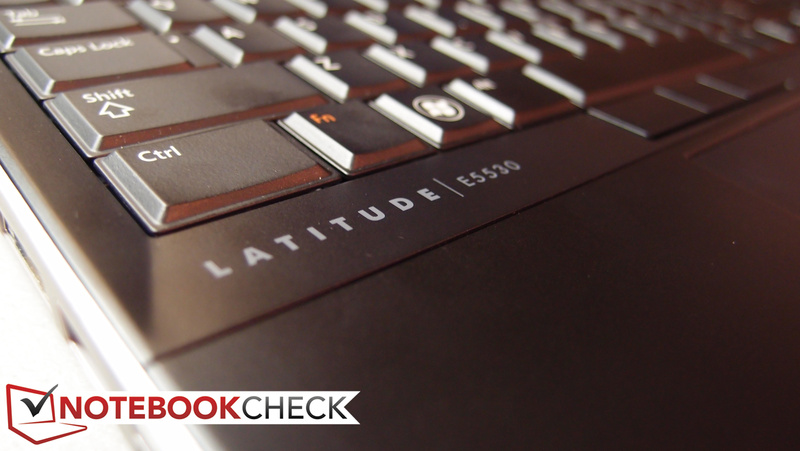 We reviewed the Latitude E5520 and praised it for its “nearly perfect” manufacturing quality and “first rate” input devices. 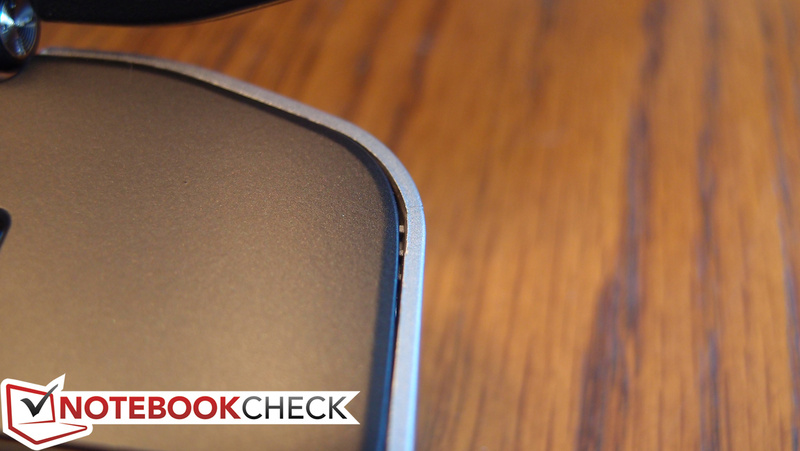 Our only criticisms were minor, with a lack of USB 3.0 topping the list of disappointments. Enter the E5530, which, as a direct successor to the E5520, one-ups its predecessor with the help of the optional new Ivy Bridge chipset. Our particular review model features an Intel Core i5-3360M dual-core CPU with Intel HD Graphics 4000. Similarly-equipped models will, at the time of this writing, set you back around $1,100. Let’s have a closer look at the specifics to see if this latest Latitude really does live up to the acclaim of its lineage. 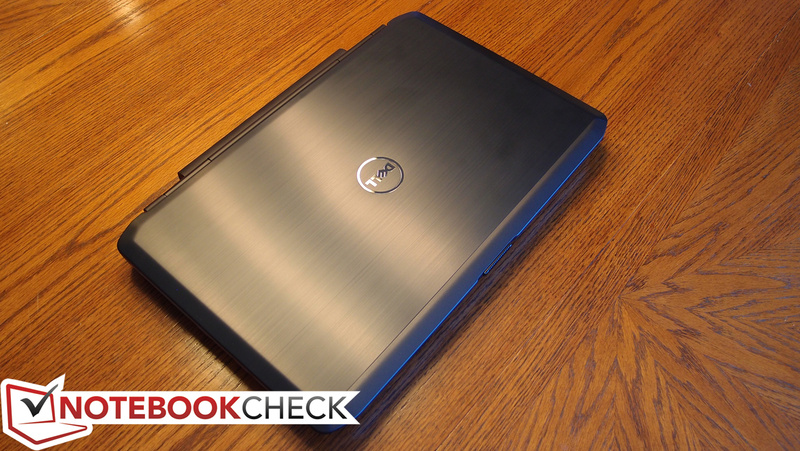 The Dell Latitude E5530’s case is practically unchanged from that of the E5520 before it—in other words, tight, relatively heavyweight, and no-nonsense. While it doesn’t feature the aforementioned mil-spec construction or rubbery interior finish of its big brother, the E6530, it is aesthetically similar, and it still feels quite sturdy. In spite of the comparably second-tier materials, the most important features of the Latitude construction are still present—namely, the impressive solidity, which leaves little doubt that this notebook should stand up under somewhat heavy use. For starters, the brushed aluminum display lid makes a return, which feels well-made and exhibits very little flex under pressure. Some LCD distortion is detectable under considerable stress, but a good deal of impact on the lid would be required to damage the LCD. Should a broken LCD panel ever result, the bezel is convenient to remove, secured only by a series of plastic tabs surrounding the panel. The lid is also easy to clean and attractive, resisting fingerprints fairly well. As usual, a silver Dell logo inhabits the central point of the lid, representing a sole ostentatious statement amongst an otherwise appropriately subtle exterior. The practical design philosophy extends to the base unit of the notebook, where, despite a predominantly plastic construction, solidity and stability are the rule. The palm rest feels impressively firm, holding up nicely under significant pressure. The keyboard, while certainly sturdier than most consumer fare, does still experience a bit of flex, mostly on the right-hand side near the number pad, almost certainly thanks to the optical drive bay located directly underneath it. The material wrapping the notebook’s corners is entirely plastic as well (on the E6530, by comparison, it is magnesium alloy), and while it is very similar in appearance to that of the E6530, it’s not 100 percent flawless in terms of fit and finish; there is one particular corner on our review unit that is noticeably separated from the rest of the base unit. In contrast, the hinges are made of steel, though it may not be immediately evident thanks to the decorative plastic sheathing covering them—and the display is well-supported by them, wobbling very little under most circumstances. Finally, the zinc-plated latching mechanism confidently secures the lid to the base and is easy to open. Earlier we mentioned the simplicity of accessing the LCD panel in the event of an accident. 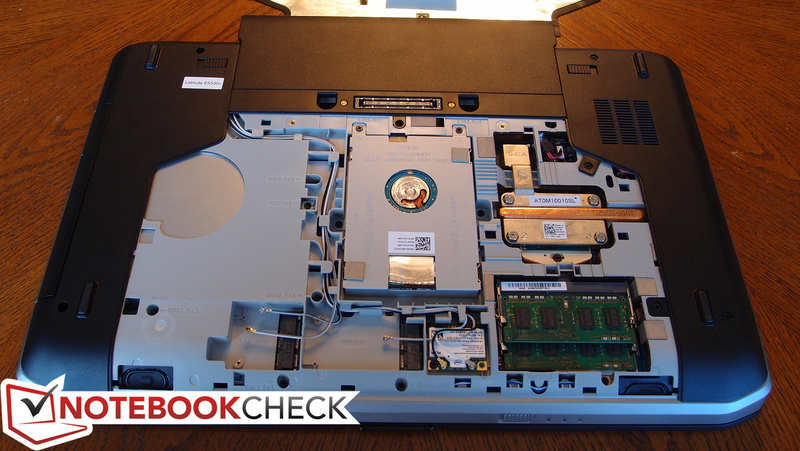 Thankfully, the same user-friendly maintenance approach applies to most every other component of the E5530 as well. Like its predecessor, the underside of the machine features a single large panel which covers nearly every upgradeable component of the PC. Therein you’ll find unabated access to the hard drive, RAM, optical drive, WLAN adapter, heatsink/CPU, WWAN adapter (if included), and an additional ½ mini PCIe slot for expansion. The standard array of ports once again makes a return on the E5530, though the Firewire port is conspicuously absent. 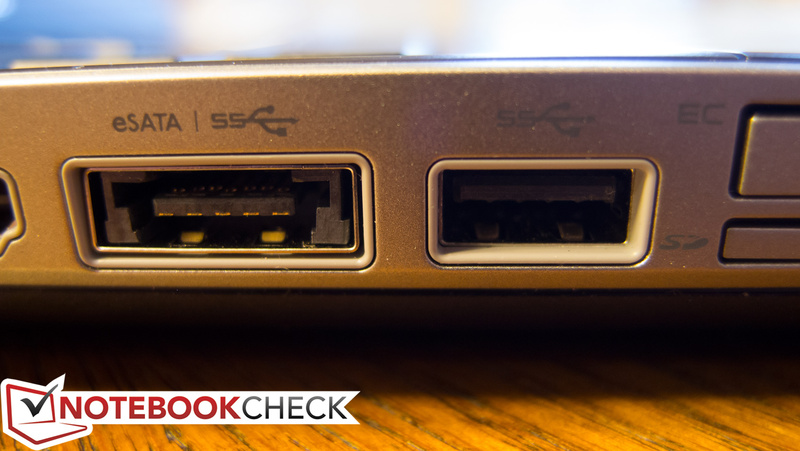 Most users likely will not miss it, however, thanks to the upgrade of two existing ports to USB 3.0 from 2.0. One of the USB 3.0 ports also shares eSATA functionality, and the remaining two USB 2.0 ports are still present, as well. Port positioning is identical to that of the previous Latitude E55XX models. One solitary USB 2.0 port lines the back-right of the notebook alongside the Gigabit Ethernet port, and the DC jack sits next to an abandoned modem port on the back-left side. Apart from those few rear-mounted ports and the front-located wireless toggle switch, the rest of the ports are thankfully accessible from the sides. The logical trade-off of such an arrangement, of course, is that the ports are also somewhat closely-spaced, meaning that the insertion of a relatively large USB adapter could block the connection of another adjacent device. However, this is relatively unlikely thanks to the rear USB port (which is mostly isolated from everything else), which could easily be used to connect any large flash drives or other obstructive devices. Our Latitude E5530 review unit came equipped with a dual-band Intel Centrino Advanced-N 6205 network adapter, which supports Wi-Fi (up to 300Mbps; 2x2 antenna configuration) and Intel Wireless Display (WiDi). 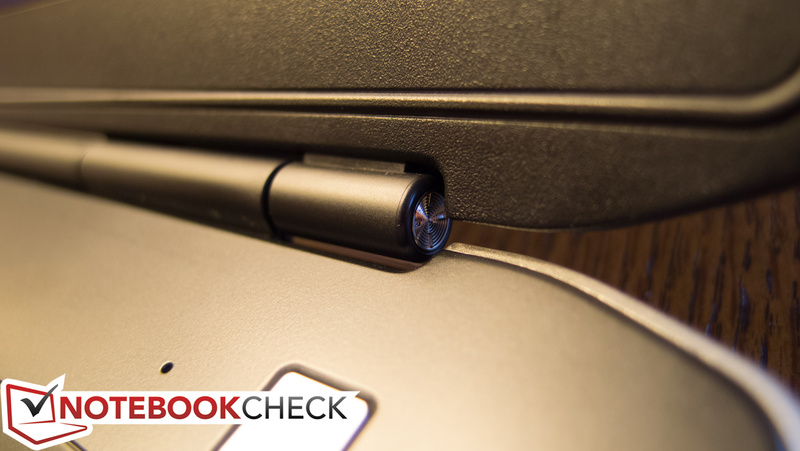 For Bluetooth, it’s necessary to choose a preconfigured option featuring a Dell Wireless 380 Bluetooth 4.0 LE adapter (the notebook’s Bluetooth module is not customer-upgradeable later). It’s also possible to configure a system which includes a Gobi 3G PCIe Mini Card (Dell Wireless DW5630) to work with the network of your choice: AT&T, Sprint, T-Mobile, or Verizon. However, this card won’t score you LTE connectivity; for that, you’ll need to purchase a card separately, as it isn’t currently offered on a configured-to-order system. The Latitude E5530 includes an optional fingerprint reader that works in conjunction with Dell’s Data Protection | Access software. TPM 1.2 is also available, as well as smart card functionality, though our review unit didn’t include it. Finally, Dell’s remote BIOS management and either TruManage technology or Intel® vPro systems management iAMT 8.x can provide additional enterprise-grade solutions. Intel vPro specifically is a state-of-the-art systems management solution that, on next-generation Latitude and OptiPlex systems, is supplemented by Dell's exclusive extensions. These extensions provide for such cutting-edge capabilities as group BIOS updates, scriptable BIOS management, remote BIOS control, and SCCM-managed battery health, warranty, and inventory checking, regardless of power state. 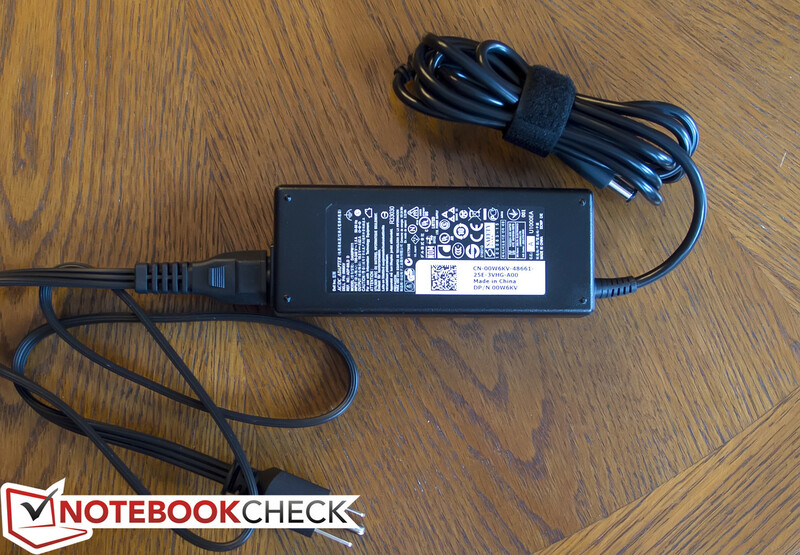 Included with the system is a moderately-sized 90W AC adapter. Driver and operating system DVDs are optional extras configurable with the system for a nominal charge. Our review unit came with a disc including the webcam drivers, but no operating system DVD. Dell’s Latitude line features a decent assortment of supplemental accessories ranging from docking stations to slice batteries. The two existing available docking stations (with which the Latitude E5530 is backwards-compatible) provide for effortless expandability. The E-Port Replicator features 6 USB ports, eSATA, Ethernet, Audio, VGA, DisplayPort, DVI-D, HDMI, and a monitor stand (an impressive array of options). The E-Port Plus includes all of that as well as another DisplayPort, DVI-D, and HDMI port, and even a Serial, Parallel, and two PS/2 ports for legacy compatibility. 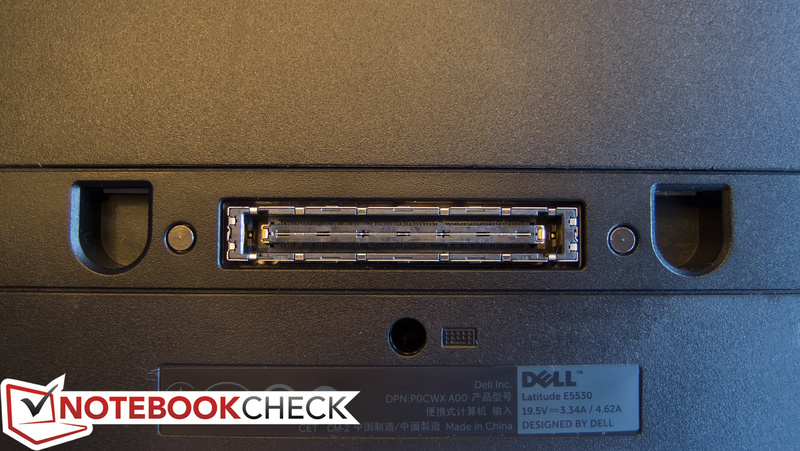 Meanwhile, the slice battery also utilizes the same universal Dell Docking Station Port to provide 97 Whr (9 cells) of additional battery power. Judging by our battery test results (which we’ll get to in a bit), this would result in an amazing amount of longevity if paired with a standard 9-cell battery. 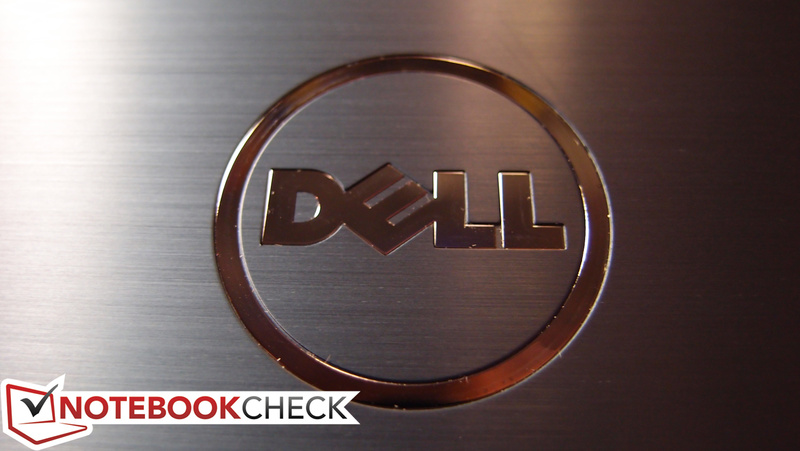 Dell offers a one-year warranty with mail-in service standard with the Latitude E5530. 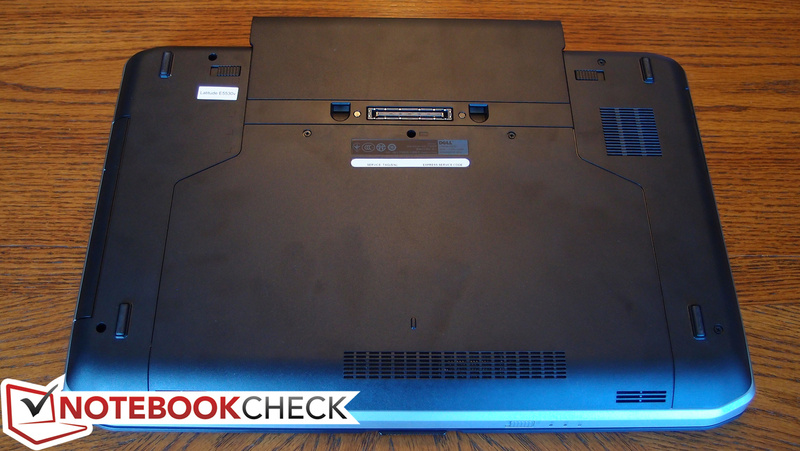 The top-end E6XXX series of notebooks, in comparison, includes a three-year warranty. Of course, it’s always possible to upgrade the warranty if you so choose, with such options as Accidental Damage Protection and ProSupport with Next Business Day Onsite Service available. 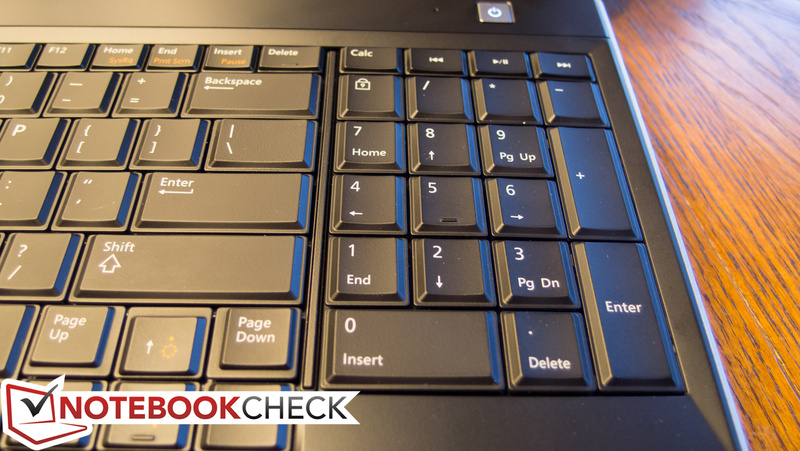 The Latitude E series of notebooks has always featured better-than-average keyboards, but we happen to consider the one on our review model amongst the best keyboards on any notebook. It’s invariably accurate with a solid stroke that requires very little force to invoke, but which responds with a satisfying sense of travel and decisive feedback. This provides for near-effortless typing. The keyboard is also relatively quiet, and the backlighting on our review unit (which is adjustable in four steps) is mostly evenly-distributed. A number pad rests to the right of the keyboard, nearby four full-sized arrow keys, which are equally easy to operate. It’s worth mentioning that the praise we’ve lavished upon the Latitude’s keyboard doesn’t necessarily apply to all variants of the model. 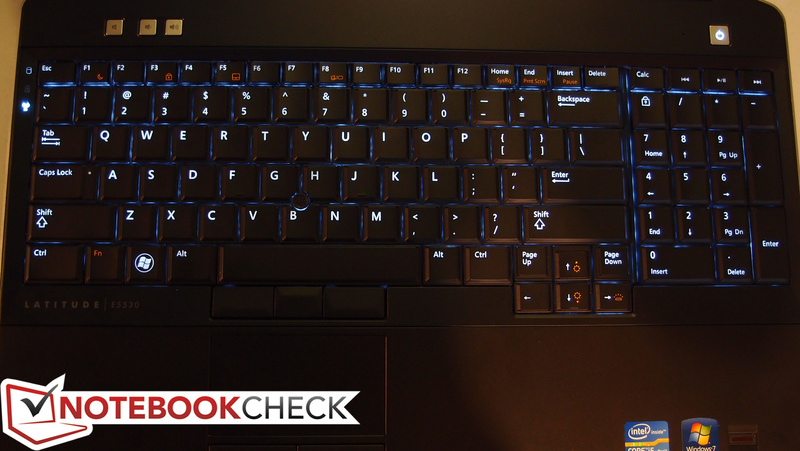 Specifically, there are notable differences between the standard Latitude keyboards and their backlit counterparts. The standard keyboards don’t feel quite as satisfying to the touch, featuring a harder-surfaced, clattery key operation in place of the quieter premium feel of the rubbery backlit model. Fortunately, swapping a standard keyboard out for a backlit model is quite simple thanks to the Latitude’s maintenance-friendly design. The sufficiently large Alps Electric touchpad is equally commendable, sporting a smooth finish that makes gliding the finger across a pleasure—no sticking, and just enough friction. The accompanying buttons provide a quiet yet accurate click that is easily provoked, with a rubbery finish that fits in well with the rest of the peripherals. Multi-touch functionality works as expected and is easily configurable using the excellent control panel interface. 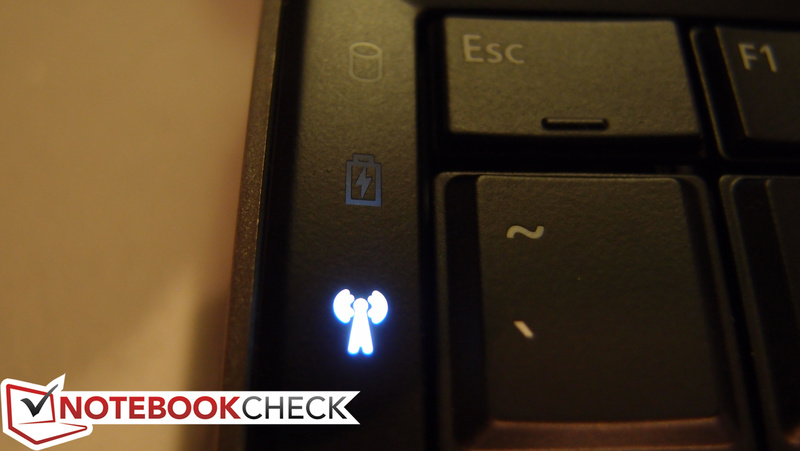 Finally, if you’re a fan of the pointing stick, you’ll find it included with the backlit keyboard only, complete with three additional mouse buttons as usual. The Latitude E5530’s 15.6-inch screen can be configured as either a standard HD (1366x768) display or a Full HD (1920x1080) Wide View display. Both displays are WLED-backlit and feature a matte finish, which is always a welcomed choice in our book. While the higher-res 1080p display is likely of considerably higher quality as well, our review unit included a standard 1366x768 pixel HD panel, and we found it to be more than sufficient for everyday business use. Subjectively speaking, the colors appeared fairly represented and text was sharp (though, of course, on a display of this size and resolution, individual pixels are fairly easy to detect as well). 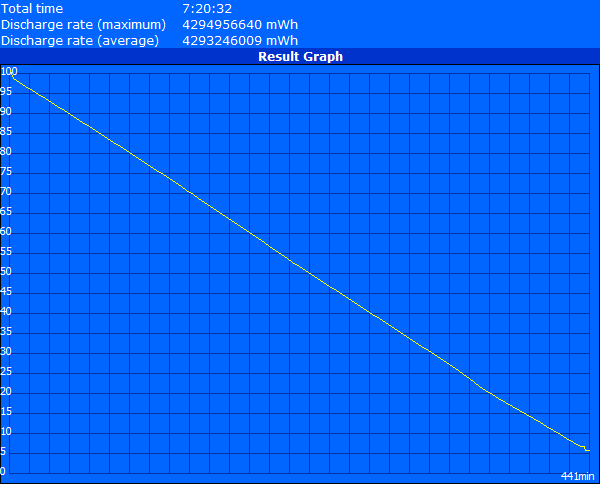 The panel in our test unit turned in an average brightness of 210 nits, which absolutely suffices for indoor use. Most users will likely prefer a brightness level at or above 11/15 to provide for comfortable viewing in such an environment. Brightness distribution is mostly even at 91% (variations this low won’t be noticeable in everyday use). The E5530’s LCD contrast ratio is just 150:1, which isn’t uncommonly low for a business notebook, but it certainly won’t turn any heads. This is thanks to a correspondingly high black value of 1.47 cd/m². 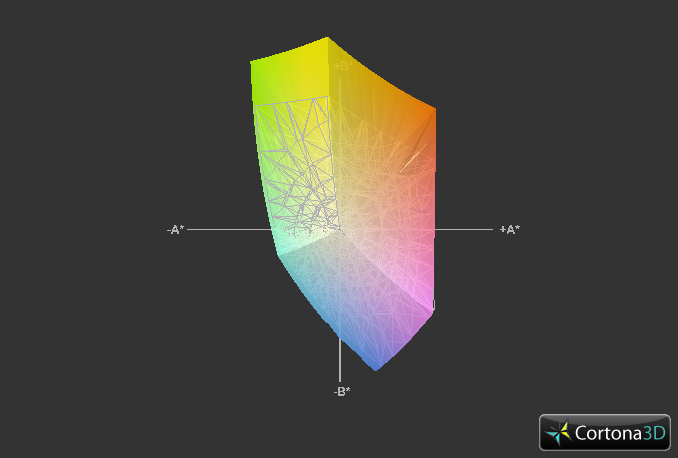 On the other hand, 81 percent of the sRGB standard is covered, which is not bad for a TN panel. In this category, the E5530 bests most of its closest competitors. This sort of color reproduction is adequate for all but the most discerning of users (such as those concerned about color accuracy for purposes of graphic design or photography). The so-called “premium panels”—if they remain the same as those in their predecessors—should cover all of the sRGB spectrum, making that a better choice for those concerned about color accuracy. Outdoor use is possible, but direct sunlight gives the panel a run for its money, mostly drowning out the picture—even at maximum brightness—and making it difficult to use in spite of its matte finish. Operation in the shade, meanwhile, is perfectly comfortable. Brightness and panel finish (matte vs. glossy) are certainly the most important factors in outdoor notebook usability, though a strong contrast ratio also certainly helps. In this case, the E5530’s 150:1 contrast ratio doesn’t benefit it much. While the screen can be opened until it’s nearly parallel with the base of the notebook, this doesn’t help much when the viewing angles are narrow. Deviating from the center vertically either up or down will quickly result in distorted and inverted color. Fortunately, horizontal viewing angles are much better. It’s possible to read the screen far from the side, though color and brightness distortions noticeably take hold after around the 45 degree mark. 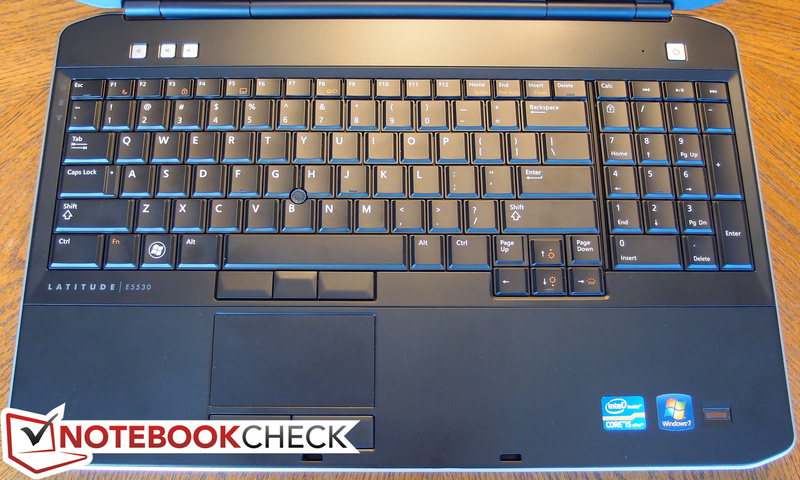 The Latitude E5530 is part of Dell’s 2012 refresh of their business lineup, and as such, CPU options include Intel third-generation Core processors (users can still opt for second-generation Core processors as well at a lower cost, however). The choices range from Intel Core Celeron Bxxx processors, to a Sandy Bridge (second generation) Core i3-2350M, all the way to a 2.9 GHz Core i7-3520M. Our particular review unit came equipped with a 2.8 GHz Core i5-3360M, which is in fact only marginally slower than the i7-3250M. The Celeron options don’t seem to be selectable during system configuration as of this writing, but a “lower end” Sandy Bridge CPU is an excellent way to save cost if you don’t want to sacrifice much. The Core i5-3360M, like the rest of its midrange brethren, supports Turbo Boost and HyperThreading, jumping all the way up to 3500 MHz/3300 MHz when warranted for single-/multi-core operation, respectively. Its 35W TDP matches that of its predecessor, and the 3D transistors and 22nm manufacturing technology hypothetically render it more powerful and more efficient alike. 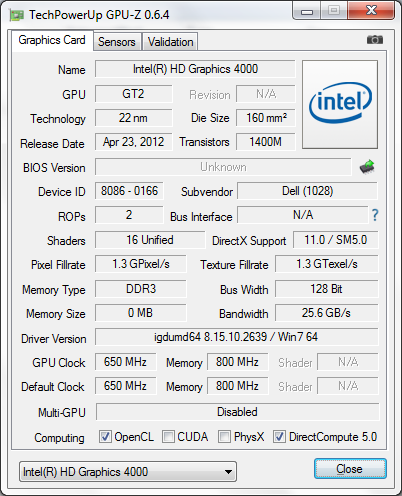 Like much of the Ivy Bridge lineup, it also includes an Intel HD Graphics 4000 GPU, which provides considerably more graphical power than its HD 3000 predecessor. From our early tests, HD 4000 appears to offer as much as 30%-40% performance improvement over comparable HD 3000 configurations and even rivals many lower-end dedicated GPU solutions. Unlike many dedicated adapters, it also sips power until it’s really needed, at which point its clock rate can jump from 350 MHz up to 1200 MHz with Turbo Boost. For more detail on the performance of Intel HD Graphics 4000, check out our benchmarks page here. 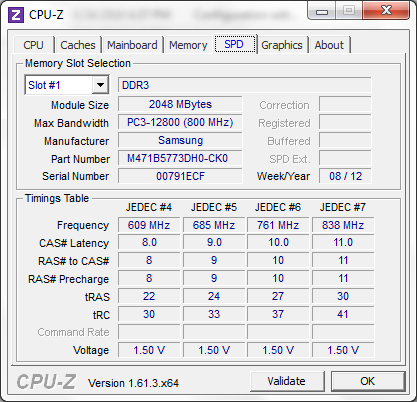 Our test unit included two Samsung 2 GB DDR3-1600 RAM modules (for a total of 4 GB), but since the Latitude E5530 supports SODIMMs of up to 8 GB in capacity (and upgrading is easy), users can enjoy up to 16 GB of RAM if they choose. 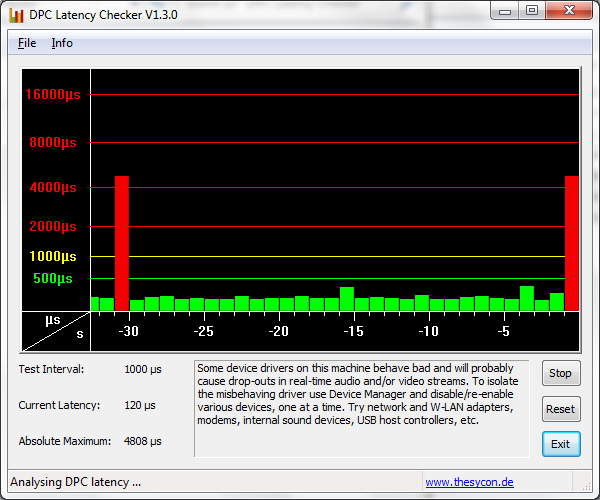 We ran DPC Latency Checker on our review unit and experienced heavy latency (> 4000 µs) at roughly 30 second intervals. However, these problems were resolved once Bluetooth was disabled. The Wi-Fi adapter, while normally a prime suspect in such situations, appeared to have no bearing on the situation. Synthetic CPU benchmarks suggest that the i5-3360M is on par with, or even faster than, the highest-end dual-core i7 Sandy Bridge CPUs. For instance, in the single- and multi-threaded Cinebench R10/R11.5 benchmarks, our tests reveal scores as much as 5% higher than the second-generation Core i7-2640M CPU, and as much as 9% higher than the Core i7-2620M, which is impressive. These results are reinforced by results from other utilities such as wPrime 2.0x (which shows a 4% faster performance than the i7-2640M). The 3DMark 06 CPU score seems to instead indicate a veritable dead heat between the two processors, but even being able to match the performance of last generation’s highest-end dual core CPU is a feat in and of itself. Suffice it to say, this CPU ought to be able to easily handle any conventional office tasks, and should even prove a contender in more CPU-intensive operations as well (such as photo and video editing). 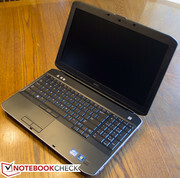 In comparison with competing notebooks, the Latitude E5530 also excels. 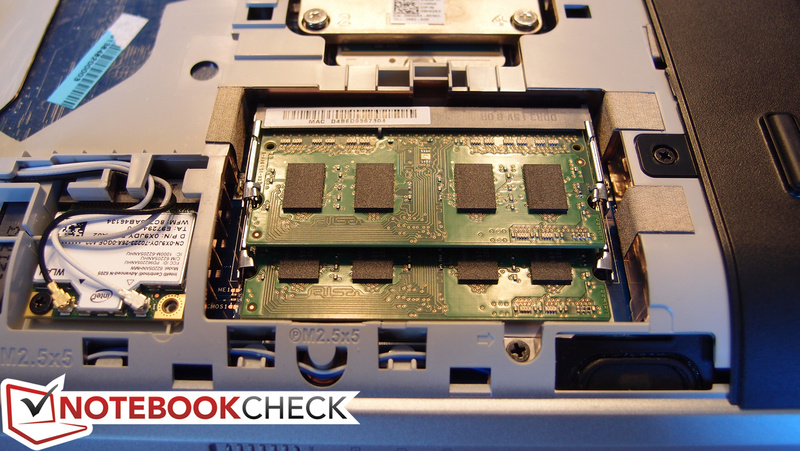 It’s perhaps most similar to the Lenovo ThinkPad L530 configuration we recently reviewed, packing the same CPU along with closely-matched specs in other regards as well. The Latitude E5530 beats the ThinkPad L530 in every Cinebench test but one (the Cinebench R10 Rendering Single CPU 64-bit test), with a few scores qualifying as considerably higher. 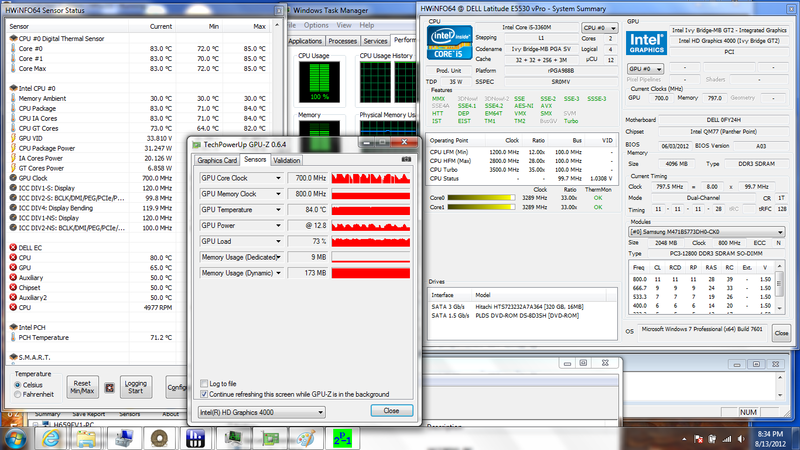 For instance, the Cinebench R10 OpenGL 64-bit test scored the L530 5278 points, while the E5530 received 5674. Similarly, the Cinebench R11.5 OpenGL 64-bit test produced 13.79 fps for the L530 and 17.59 for the E5530. 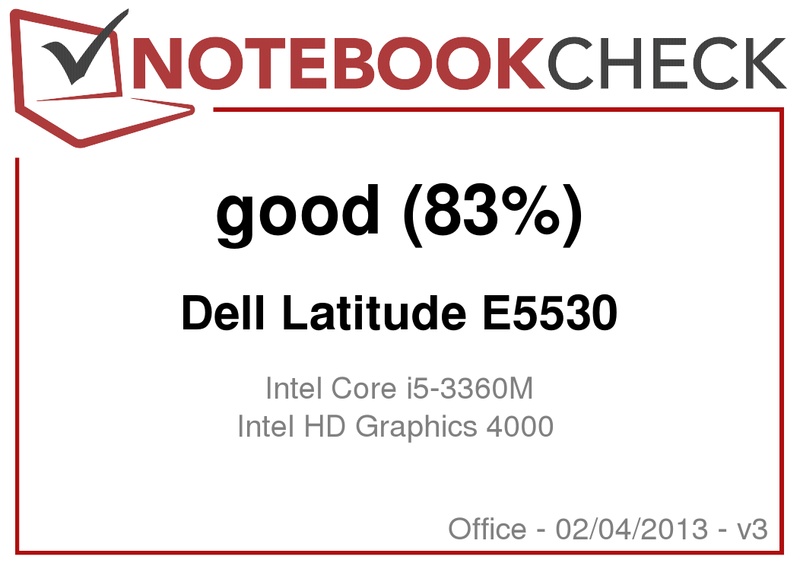 It is possible that the differences could be attributed to differences in graphics driver versions, but nevertheless, these are notable scores coming from the Latitude E5530. The synthetic GPU benchmarks are equally interesting in this case, though not necessarily as convincing. The integrated HD Graphics 4000 consistently posts results which are notably higher than its HD Graphics 3000 predecessor. However, some of this variation is most certainly a result of driver improvements to HD Graphics 3000 over time, so it’s difficult to say with certainty just how much faster the 4000 GPU will perform in every situation. Still, our results indicate that the i5-3360’s integrated GPU is nearly always faster than even the highest recorded scores for HD 3000. 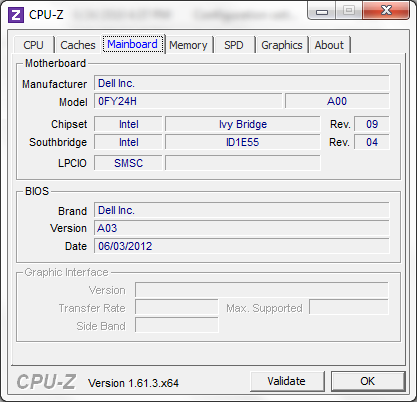 This leaves very little doubt that moving from a Sandy Bridge to an Ivy Bridge chipset will improve your graphical performance. Overall, the growing body of results we’ve received from our benchmarks seems to indicate performance somewhere in the realm of the Radeon HD 6470M and GeForce 520M. 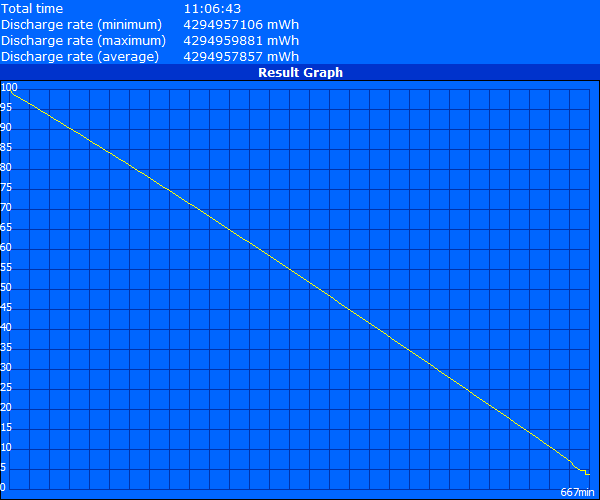 We also performed a few benchmarks running on battery power only to see if the results would change; they didn’t. 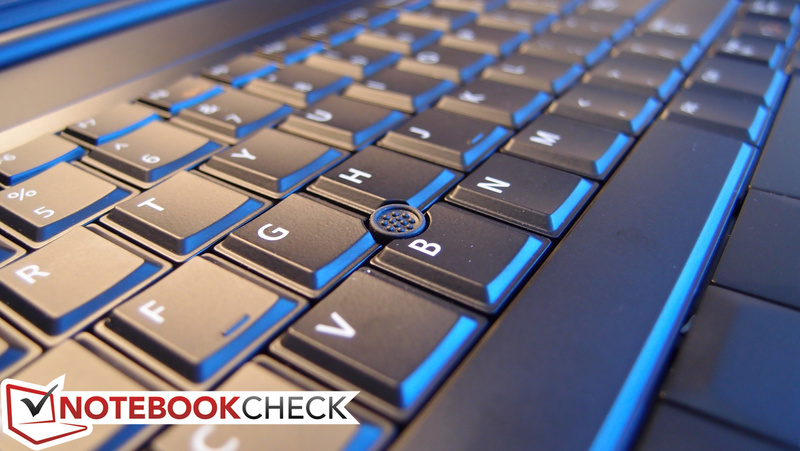 We tested the Latitude E5530 using PCMark 7 and PCMark Vantage to help evaluate general system performance. 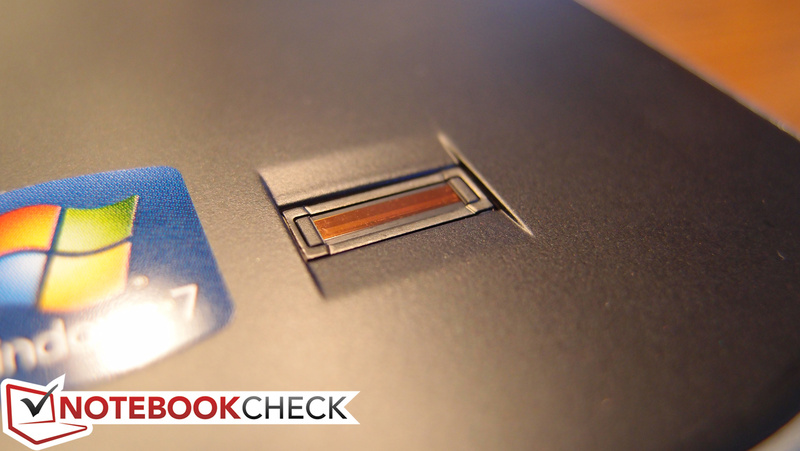 Although these tests seem to heavily favor systems equipped with an SSD, they still represent a useful point of comparison for notebooks using similar mass storage devices. The E5530 continues to put up very impressive numbers in these tests as well: 3002 and 8699 in PCMark 7 and Vantage, respectively. 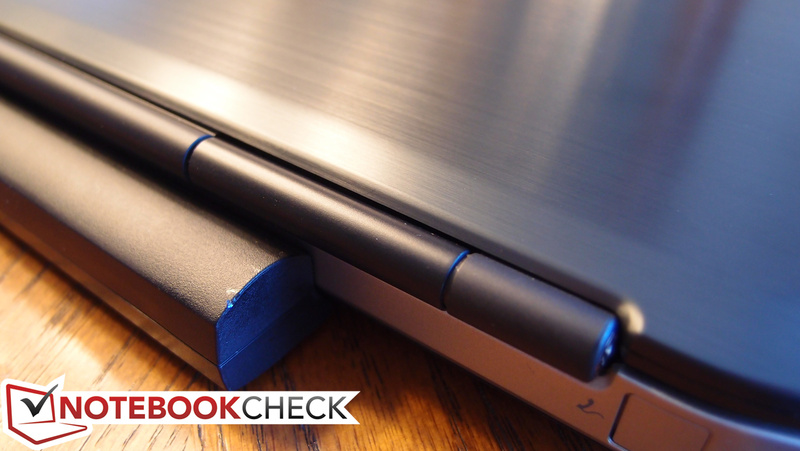 This effectively places its performance in the benchmark above that of the Lenovo IdeaPad U410-MAH6MGE (with corresponding scores of 2724 and 8678), a notebook which leverages an SSD for boosting the speed of frequently-used programs. In spite of these excellent scores, the system’s general performance could be most improved with the addition of an SSD in place of the standard mechanical hard drive. SSDs provide speed benefits which extend far beyond their sustained read/write advantages, such as the ability to process small (i.e., 4K-sized) non-sequential chunks much more rapidly than a drive with a mechanical head tasked with moving to and fro across a platter. This alone can increase the perceived speed of a system much more effectively than, say, a CPU bump or a boost in RAM beyond 4 GB. The Latitude E5530 can be preconfigured with 320 GB or 500 GB hard drive sizes, or with a 128 GB Solid State Drive. 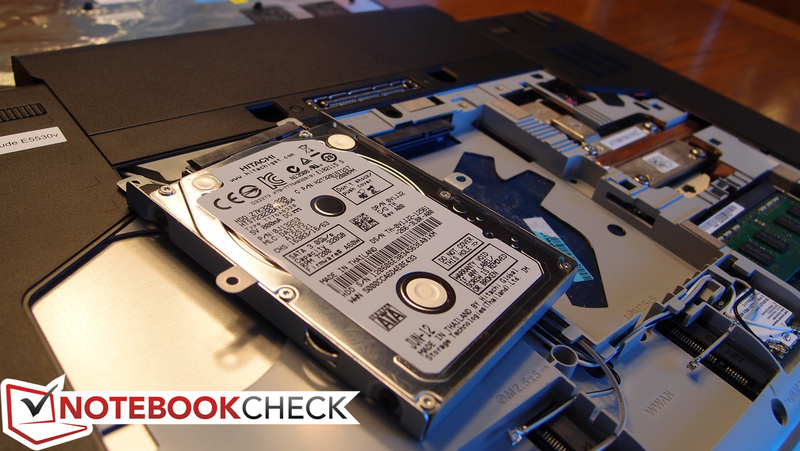 Our review unit included a Hitachi Travelstar Z7K320 7200 RPM 320 GB hard drive. This is a special single-platter 7 mm-height drive that is often used in applications where a standard 9.5 mm-height drive will not fit. In this case, there is plenty of room for a standard drive, but there is certainly nothing wrong with a smaller drive in either application. The Hitachi Z7K320 drive posted good speeds exceeding those of most 5,400 RPM drives, but far below that of many 7200 RPM drives. Its newer 500 GB counterpart, for instance—the Travelstar Z7K500—posted a Transfer Rate Average of 98.6 MB/s compared to the Z7K320’s 78.7 MB/s (see our review of the Lenovo L530 here), making the Z7K320 over 20% slower in comparison. The Access Time of 18.6 ms is also nothing particularly exciting. 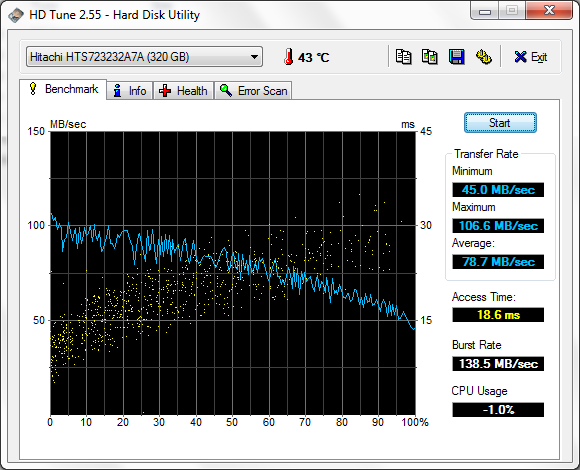 Still, overall, its performance places it in the same ballpark as many other notebook drives. For more comparisons, see our rapidly-growing list of mass storage device benchmarks here. 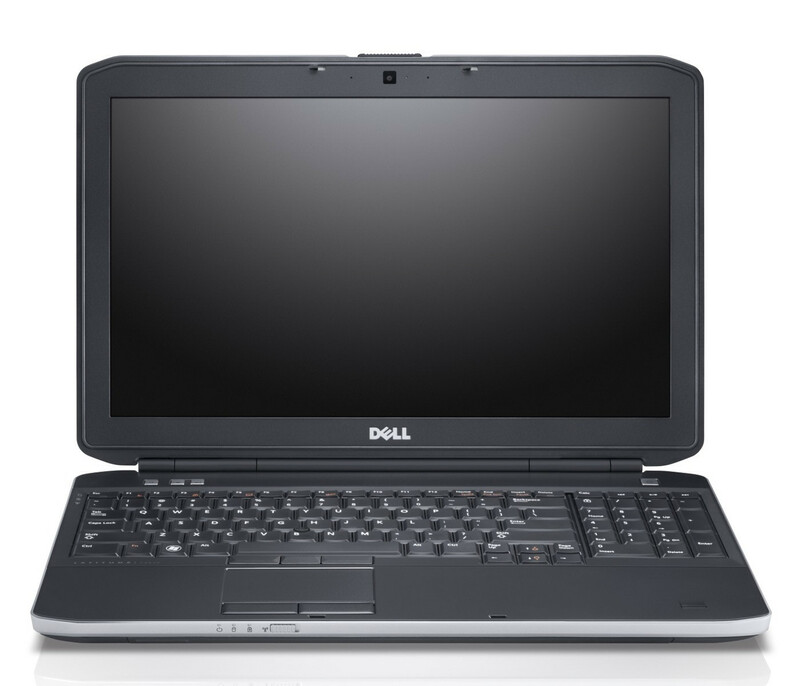 The Latitude E5530 also includes a Dell Fast Response Free Fall Sensor, which is a standard feature built into the motherboard (and thus does not require a specially-equipped drive to operate). The Ivy Bridge chipset grants us Intel HD Graphics 4000, which, according to our benchmarks, represents another big step forward toward integrated graphics that could replace low-end discrete adapters. Of course, it isn’t a solution meant for gaming, but it is most certainly possible to play all but the most demanding games at reasonably low settings and acceptable frame rates. 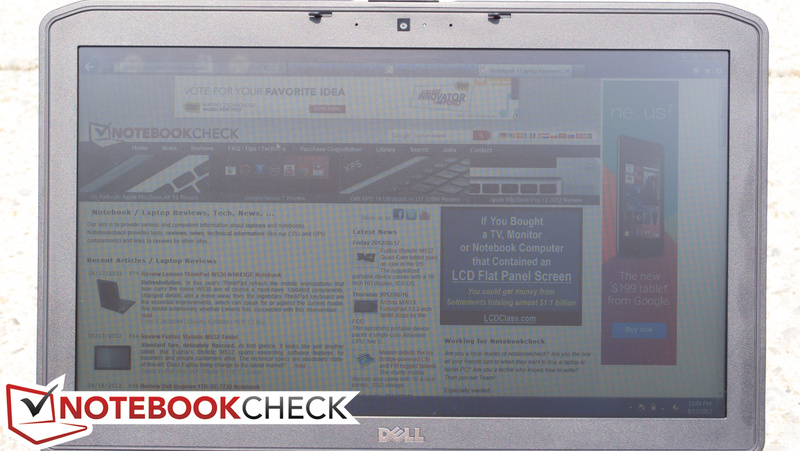 The Dell Latitude E5530 surprised us with unexpectedly capable performance in the games we tried. It’s been three months since we first benchmarked Diablo III’s performance on various laptop graphics adapters, so plenty of driver updates and game patches have likely improved the Intel HD Graphics 4000’s relationship with the demons of Hell. Still, we almost jumped out of Blackthorne’s Breeches when we were able to record an average of 29 frames per second on high with anti-aliasing enabled! Finally, we also briefly loaded up two other games: Batman: Arkham City and Portal 2. Both games performed surprisingly well on medium settings, with Batman: Arkham City averaging around 35 to 40 frames per second at 1366x768 resolution, 0xAA, and all settings medium. Portal 2’s frame rates were slightly more sporadic, but for the most part, at medium settings, it was consistently above 40 frames per second (all settings medium, 1366x768 resolution). The bottom line is that the Latitude E5530 will pleasantly surprise any business user who’s interested in some periodic gaming—just as long as they aren’t planning on enjoying any Crysis 2 or Battlefield 3, of course. Noise level simply isn’t one of the Latitude E5530’s strengths. In fact, it stands out as one of the loudest notebooks around. Under typical day-to-day use, the E5530’s fan is close enough to silent at just 33.4 dB. Browsing the internet and performing other lightweight activities rarely affects the fan speed to any noticeable degree. 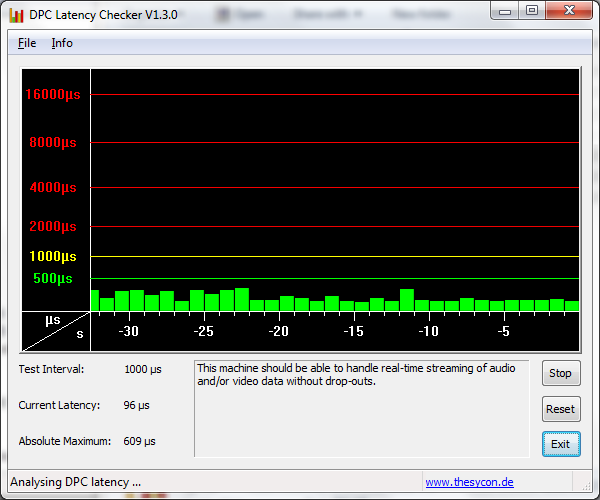 It also remains reasonably subdued during DVD playback, reaching 37.3 dB (a level only slightly audible). 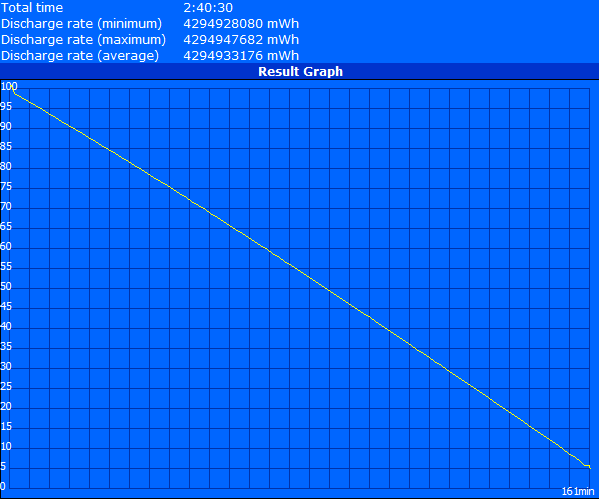 However, under heavy load, the system quickly becomes quite loud¸ generating noise up to 49.1 dB in volume. This is around 20% louder than its predecessor (the E5520). To its credit, the tone of the fan noise isn’t terribly disturbing (it’s more of a whoosh than a whine), and it takes quite a bit of stress to reach this level, but 49 dB under any circumstances is loud. 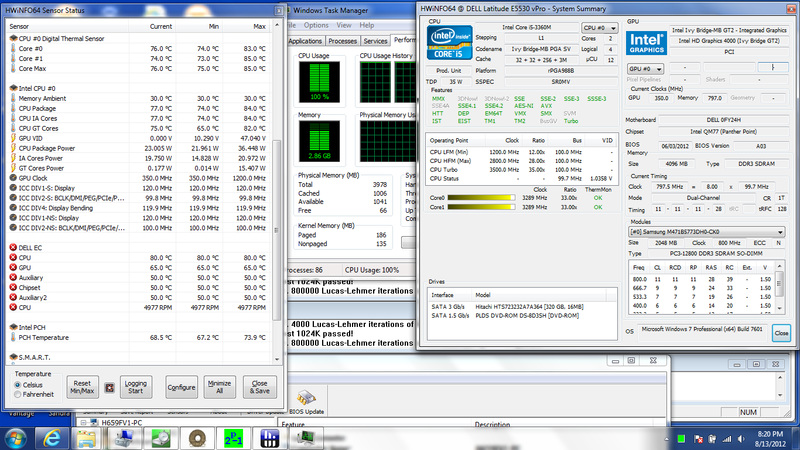 The benefit of a relatively loud fan, of course, is that the system stays fairly cool, even under stress. After simultaneous CPU and GPU stressing for a full hour using Furmark and Prime95, the average temperature of the bottom of the notebook was just 36.5°C; that’s relatively cool under full load, and mostly comfortable for use on the lap. Having said that, one small area of the notebook (the center of the right side on the bottom—directly underneath the CPU/heatsink) does reach an uncomfortable temperature of above 45°C, so it isn’t all consistently cool. 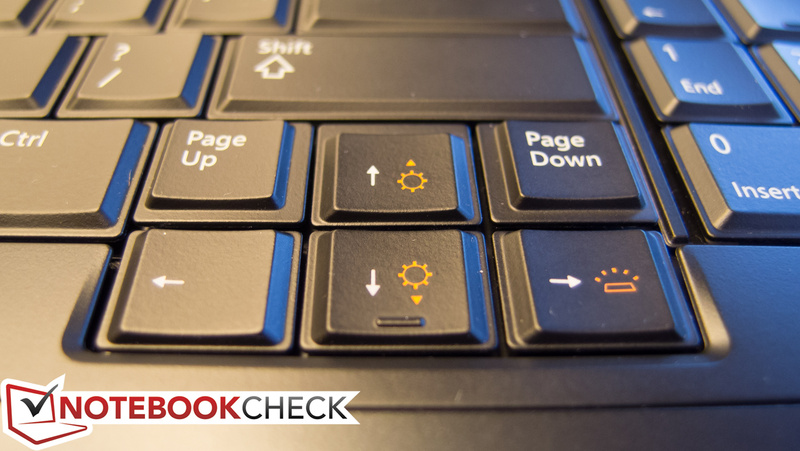 This heat extends to the top of the notebook on the left-hand side of the keyboard, making it warm enough (44°C) to bother the user while resting his hands there during typing. The touchpad, meanwhile, remains borderline at a temperature of 39°C. All things considered, this is still better than the Latitude E5520 ever fared, as it averaged a full three degrees warmer on the bottom at 39.6°C, and the center of the keyboard and touchpad both reached temperatures in the 45°C range under load. And since—as it’s so often repeated—most users won’t be rendering video for long hours while resting the notebook on their lap, it really isn’t a critical issue anyhow. Idle temperatures are actually a slight bit warmer than they were on the Latitude E5520, but this is a moot point, as temperatures below 30°C are, for all intents and purposes, comparatively cool. 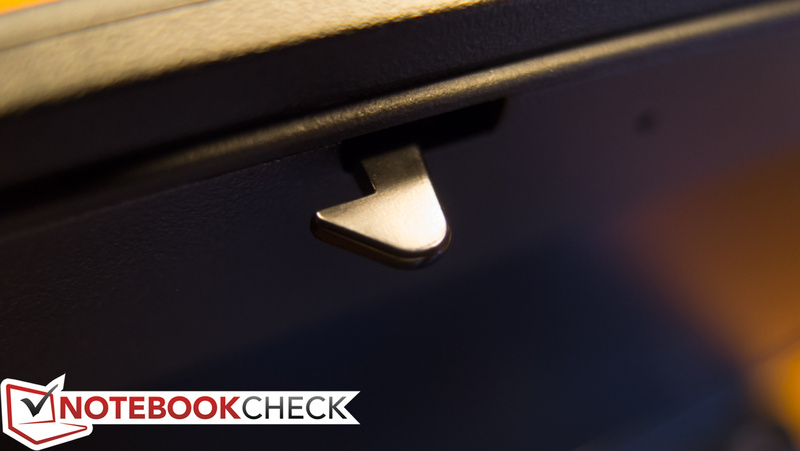 For typical business use, it’s unlikely for a situation to arise where the notebook would get uncomfortably hot. (+) In idle usage, the average temperature for the upper side is 30.9 °C / 88 F, compared to the device average of 29.4 °C / 85 F.
(-) The average temperature of the palmrest area of similar devices was 28.2 °C / 82.8 F (-10.8 °C / -19.4 F). 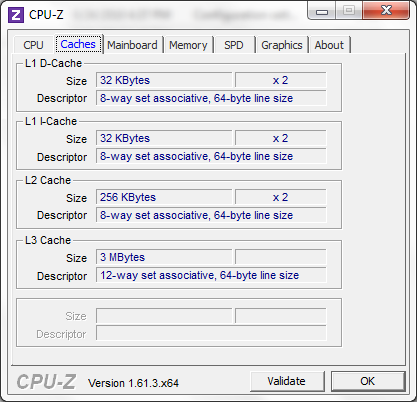 We induce maximum system load using a combination of Prime95 and Furmark. This effectively stresses both the CPU and GPU to their maximum levels for an extended period of time, thus testing the capabilities of the cooling system and revealing any hint of throttling as a result of heat. Although the i5-3360M’s CPU didn’t remain at a consistent maximum Turbo Boost frequency throughout the course of our stress testing, it did remain very close to the top-end value of 3300 MHz per core. The GPU’s performance was even less convincing, as it often wavered below the maximum Turbo Boost frequency of 1200 MHz to values closer to 1000 MHz. On very rare occasions, the GPU’s frequency dipped as far as 350 MHz, but this only occurred for a split second. 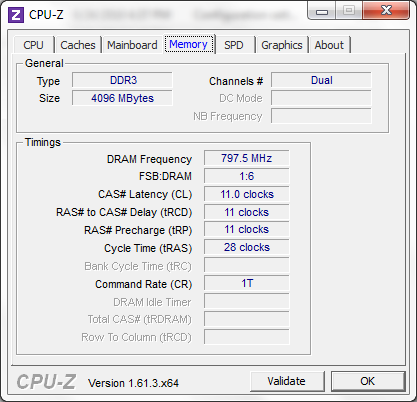 However, provided the CPU and GPU remain above their base clock value, there is technically no throttling occurring. It should be noted, however, that while it isn’t throttling per say, the fact that the GPU (and, on occasions, the CPU) cannot Turbo Boost consistently for long periods of time under heavy stress means that other notebooks with the same chipset may perform better in certain scenarios. But whether or not it affects anything palpable in real-world situations is another question entirely. 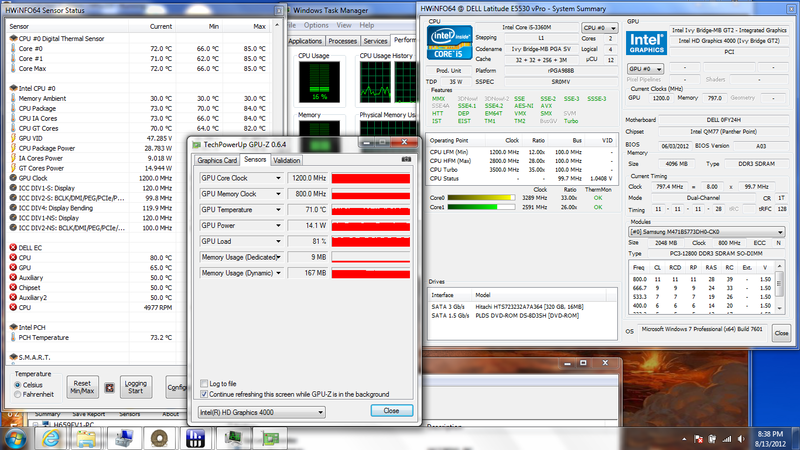 To test this, we ran 3DMark06 directly after a full hour of full-load CPU and GPU stress. The resulting score—5638—is nearly identical to the original score of 5641. This suggests the system will not be significantly affected by its inability to fully exploit the top-end CPU and GPU clock speeds. Predictably, the Latitude E5530’s audio system is, as expected, an afterthought in in comparison to the rest of the feature set. The sound is relatively flat with hardly any low frequency response. Meanwhile, the maximum volume is actually reasonable (especially when situated on a hard surface, which benefits the down-firing speakers), and the sound is at least quite clear with very little distortion, so there’s no reason why an occasional movie viewing wouldn’t be possible. 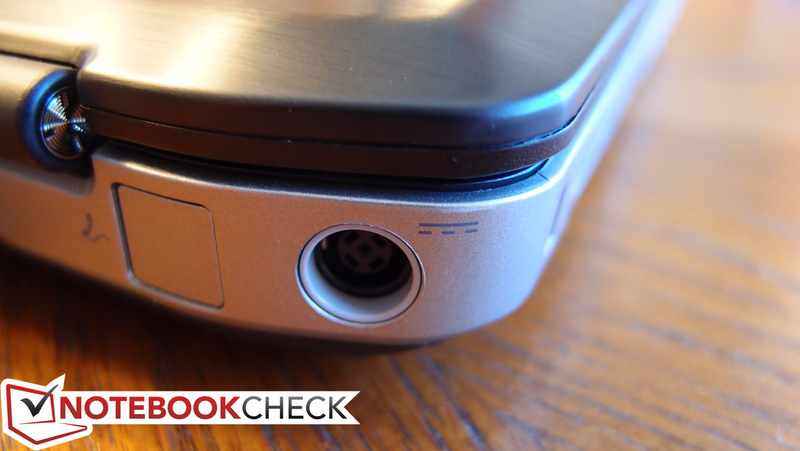 The two small speakers are located on the bottom-front of the notebook; it’s essentially the same audio system that nearly every Latitude has seen for the past few years. Business notebooks aren’t made for entertainment, and as such, they normally exert little focus on such features. 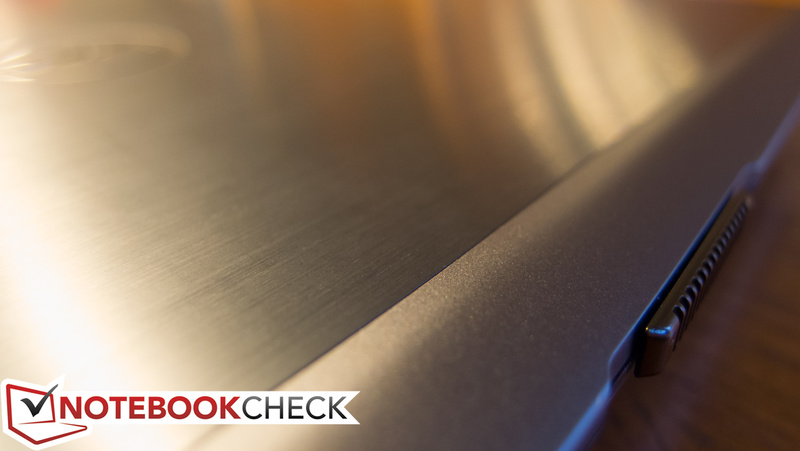 Returning to the items that truly matter to the business user, we put the E5530 through the same extensive battery testing that we do every notebook. 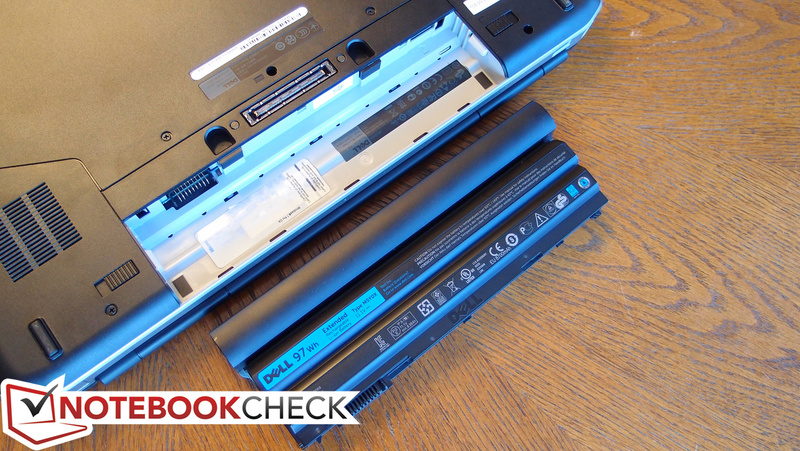 This consists of four different battery rundown tests using Battery Eater Pro to assess the notebook’s longevity under various scenarios. 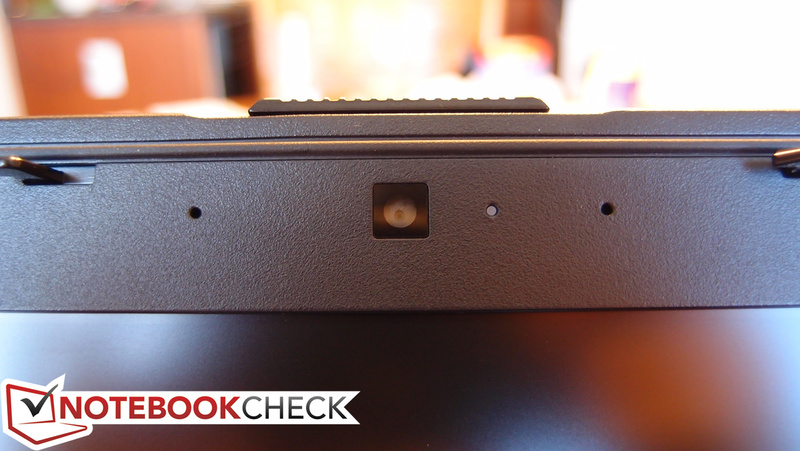 Our review model included a 9-cell (97 Whr) Lithium Ion battery, which protrudes from the back of the notebook. Other available options include a 6-cell (60 Whr) and a 4-cell (40 Whr) battery, as well as a 9-cell (97 Whr) Extended slice battery, which attaches to the docking station port on the bottom of the unit. 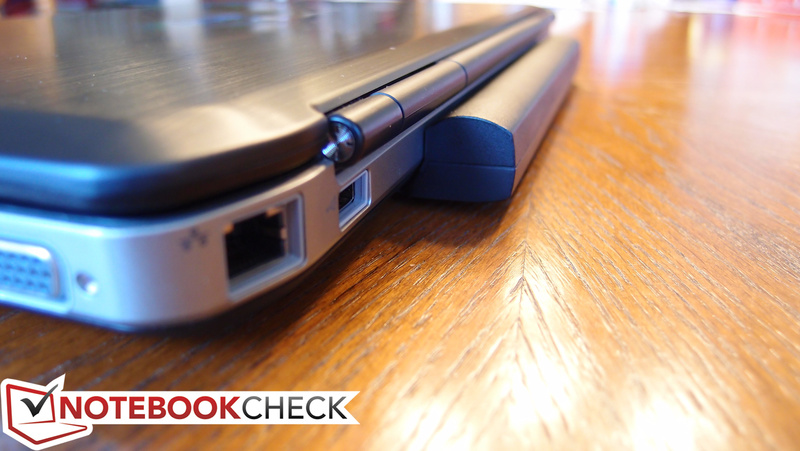 This isn’t the first time a Latitude notebook has impressed us with its battery life. We first simulated bare minimal use with the Reader’s Test in Battery Eater. Before testing, we fully charged the unit and disabled sleep, hibernation, screen and hard drive timeouts, and all wireless radios. Using this configuration along with the “Power Saver” power profile, the notebook lasted an excellent 11 hours and 7 minutes before shutting down. Do keep in mind, however, that in order to achieve such numbers, you essentially can’t use the computer for anything beyond very basic reading. To test battery life under heavy system load, we re-enabled Wi-Fi, set brightness to its highest level, and switched the power profile to “High Performance.” Using Battery Eater’s Classic Test, the system lasted under these conditions for 2 hours and 41 minutes before shutting off. It isn’t surprising how much lower this number is than the idle test results thanks to the extreme scaling of the Intel CPU under various load conditions. Perhaps the two most interesting tests, however, are the more realistic real-world battery test and DVD playback test. 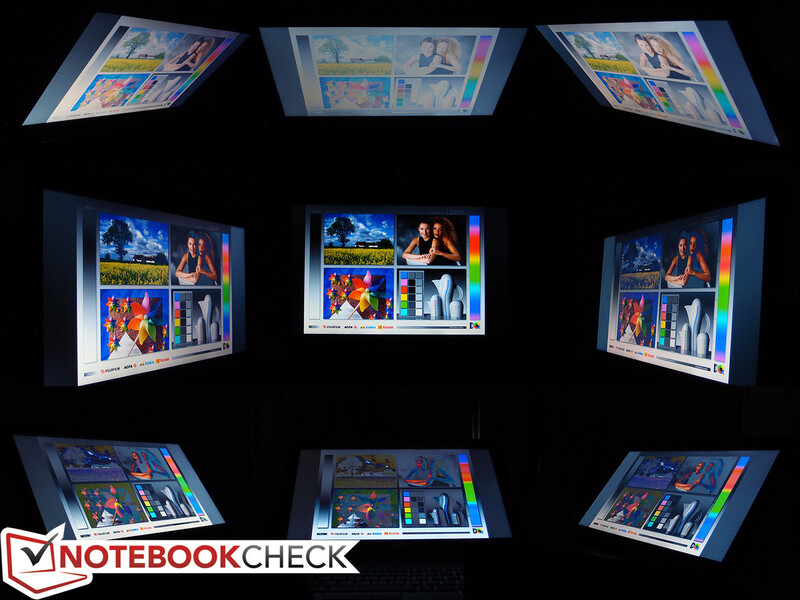 In the former, we set the notebook’s power profile to “Balanced” and configured screen brightness to approximately 150 cd/m² (level 11 of 15 on our review unit). We then ran the Notebookcheck web surfing script to simulate typical internet browsing behavior across a series of pages, including basic articles and full-scale Flash videos. 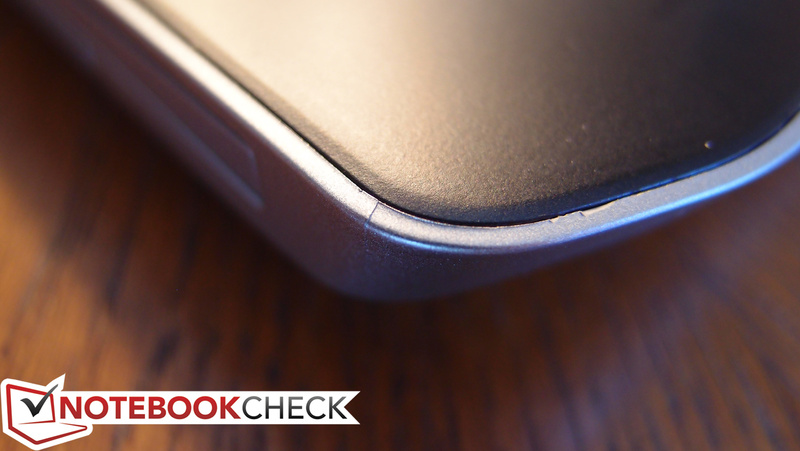 In this test, the notebook lasted a respectable 8 hours and 9 minutes before shutting down. In the DVD playback test, settings are identical to that of the real-world battery test, except a video DVD is being looped continuously. In this test, the notebook lasted for 7 hours and 21 minutes, which ought to be more than long enough to enjoy any feature-length film… multiple times. Our review of the Latitude E5520 praised its excellent keyboard and touchpad, sufficiently bright matte display, and solid, “high-end” design. Our only complaints were minor, the most significant of which involved the lack of USB 3.0 and the high level of noise under load. Has the Latitude E5530 carried the torch forward and resolved those outstanding issues? 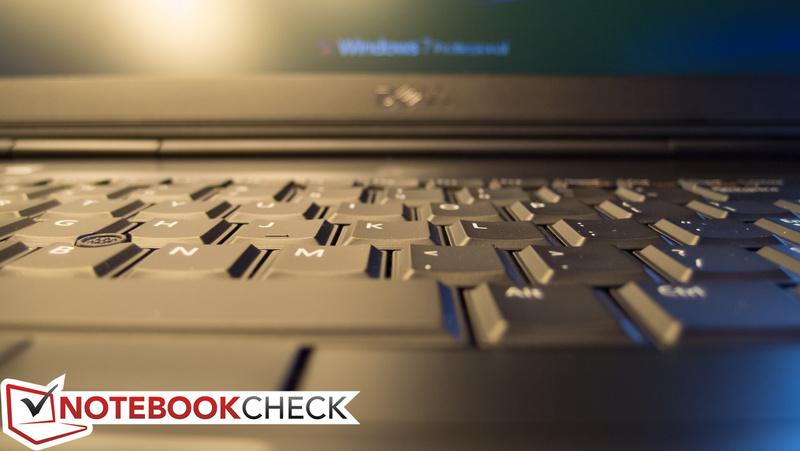 All things considered, the Latitude E5530 is a no-nonsense business notebook that excels in most every area that counts. It offers a wide range of connectivity options including two USB 3.0 ports and compatibility with the bevy of existing Dell business docking stations and accessories. It features a phenomenal backlit keyboard and comfortable touchpad to compliment a better-than-average matte LCD panel. And its performance—even with the middle-of-the-pack Core i5-3360M option—is truly impressive, conquering even the highest-end dual-core Sandy Bridge processors. In fact, the integrated graphics are so improved with Intel HD Graphics 4000 that it’s entirely possible to play many midrange games on medium to low settings with fluid frame rates. But there are certainly a few drawbacks, however minor. Firstly, the build quality and construction materials are certainly inferior to that of the more expensive Latitude E6XXX models; rubbery finishes and magnesium alloy have been exchanged for hard plastics and… well, more hard plastics. Fortunately, the display lid is still aluminum-backed and the machine nonetheless feels sturdy in spite of this. Also, it’s still very loud, and in fact, even more so than its predecessor. 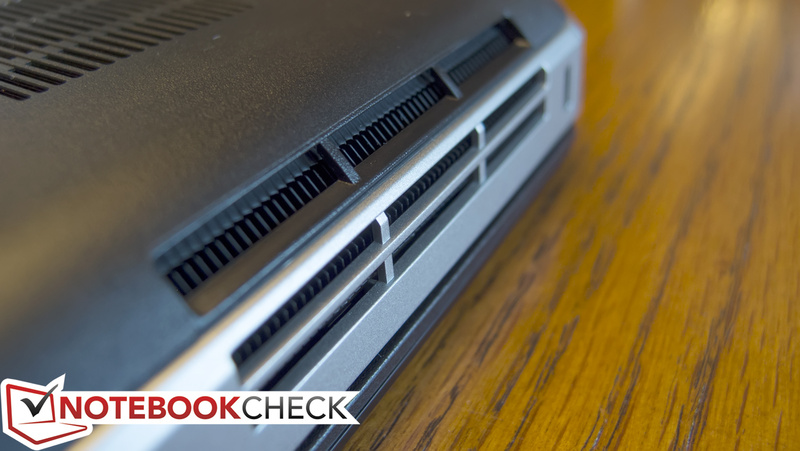 But as a result, it’s also cooler under load—and if it becomes truly bothersome, it’s always possible to adjust the operation of the fan using Dell’s custom power profiles. 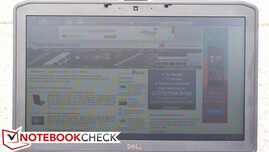 The business notebook market is a very competitive space occupied by other strong contenders such as Lenovo’s ThinkPad T530 and Samsung’s Series 6 machines—and, of course, even Dell’s own high-end E6530 (review forthcoming). But when cost is a prime consideration, and the power of Ivy Bridge is desired, the Latitude E5530 provides an option meeting all of the essential criteria and an alternative worthy of strong consideration. ...but the brushed aluminum lid makes a strong statement. ...as is the number pad. 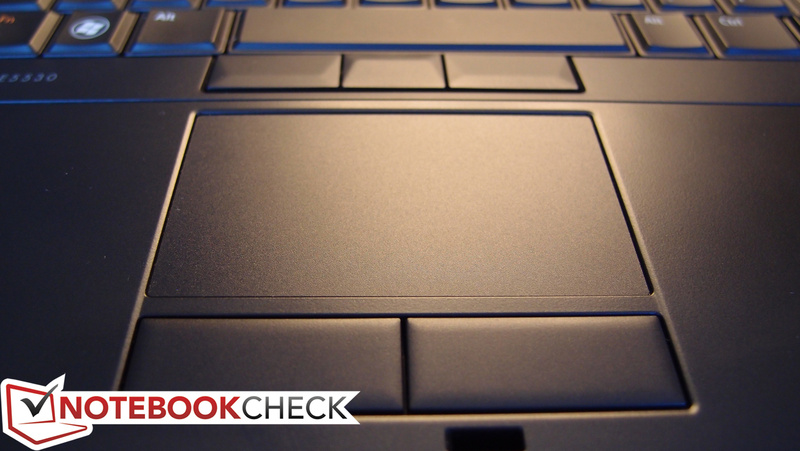 The Latitude E5530 checks nearly all of the boxes defining a great business notebook: fantastic keyboard and touchpad, excellent battery life, uncompromising performance, and durability where it counts. The fit and finish isn't up to par with the higher-end Latitude models, and neither is the selection of construction materials. Plastic takes the place of magnesium noticeably often. Also, it's quite loud under load. 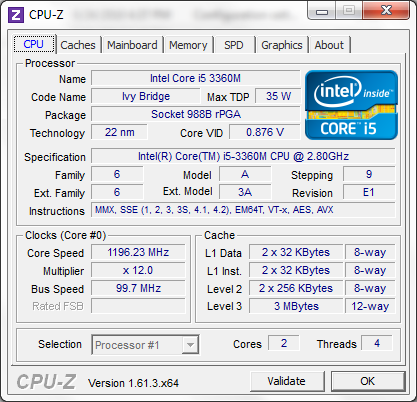 The Ivy Bridge CPU is more powerful than most top-end Sandy Bridge models, chips, and the affiliated Intel HD Graphics 4000 can even handle many games.